The rose-gold variant of the OPPO F1 is now available nationwide. 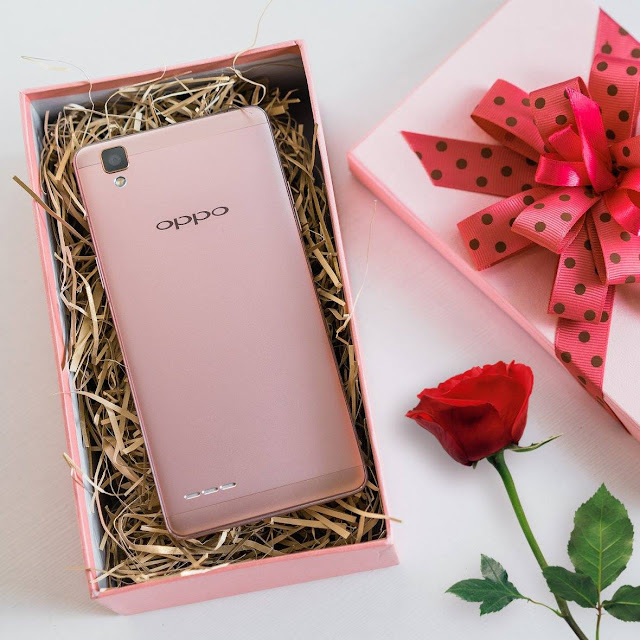 Last March 10, 2016 – OPPO Philippines has announced that the rose-gold variant of their first handset for 2016, the F1, will be available nationwide starting March 14, 2016. Dubbed the "Selfie Expert," the F1’s gold version was rolled out to OPPO concept stores and authorized dealers in mid-February. It retails for only P11,990 but is available for purchase by installment for as low as P1,299 every month even for those without a credit card through OPPO’s partnership with Home Credit. The promo runs until March 31. The F1 comes with an 84-degree-wide angle front camera lens with f/2.0 aperture, and a 1/4-inch screen sensor that allows 40% more light to enter than a f/2.4 aperture lens. The F1’s camera hardware is paired with Beautify 3.0+, which removes blemishes and brightens your skin. This results in the phone’s front shooter working as if it has a built-in styling team that glams you up. The OPPO F1 is not just all about the camera. Among its standout features is a 5-inch HD screen that is protected by a 2.5D Corning Gorilla Glass 4 coating and a durable and stylish back that has a velvet-like softness, achieved through putting the premium metal through as close to 40 polishing processes.